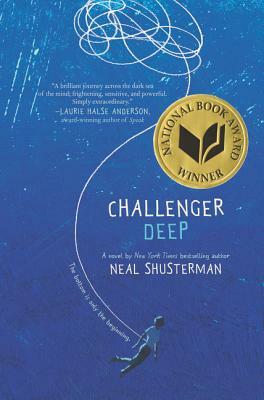 Challenger Deep approaches mental illness through the medium of a non-linear pirate adventure. Yes, you read that right. What's even more astonishing, is that it works. The small moments of pure reality or pure fantasy are engaging enough in themselves, but when taken together as an uncomfortable maelstrom of thoughts and emotions, the book feels like an accurate portrayal of a mind in disarray. And that's not all. Mental illness does not have a tidy end point, a solution or even an easy cause, Challenger Deep recognizes this and does not offer any easy solutions. In so doing it breaks all the tropes. All of them. This book is a sensitive work of genius for clever readers aged 14+.